How’s that for a mouthful?! We’ll get to the NPCSPRS in just a moment, meanwhile, welcome to my stop on the Plum and June Let’s Get Acquainted blog hop and [say this next part in a funny British accent] please allow myself to introduce … myself. My name is Em. I currently live in Virginia via Illinois, Missouri, and Connecticut. 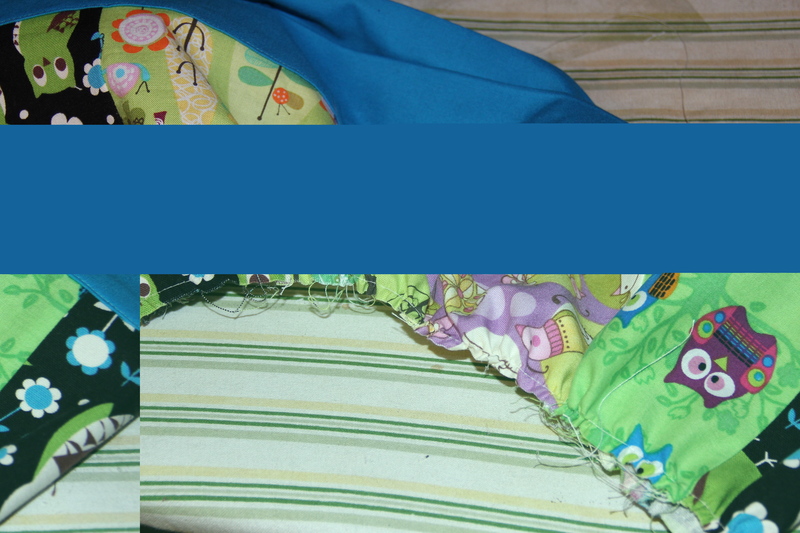 I’ve been quilting for … let’s call it 2 years, since that’s when I decided my scrap bin from other projects was getting out of hand and needed to be dealt with. 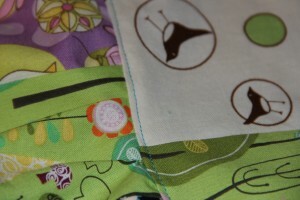 I sew (and quilt) predominately at night (hence the name of this blog) after my two little girls are tucked in to bed. I often just enjoy the soundtrack of my sewing machine and the absence of small voices yelling from the bathroom, “Mooomm! WIPE MY BUM!” But if I’m feeling musical, I usually turn on Pandora and my mood ranges from blue grass to classic rock to club dance music. My family and I are presently in week one of seven and a half weeks away from home this summer. We started in Virginia, drove to Illinois, then it’s on to Montana and back home via Colorado and St. Louis. We will drive through 16 states in total. It is the Epic Road Trip Adventure that inspired the Road Trip Quilt Along I’m currently hosting. Assuming I can keep up between all the events and travel, I will post a tutorial for a new state block each week. We just started with Virginia last week, and I would love it if you want to play along. 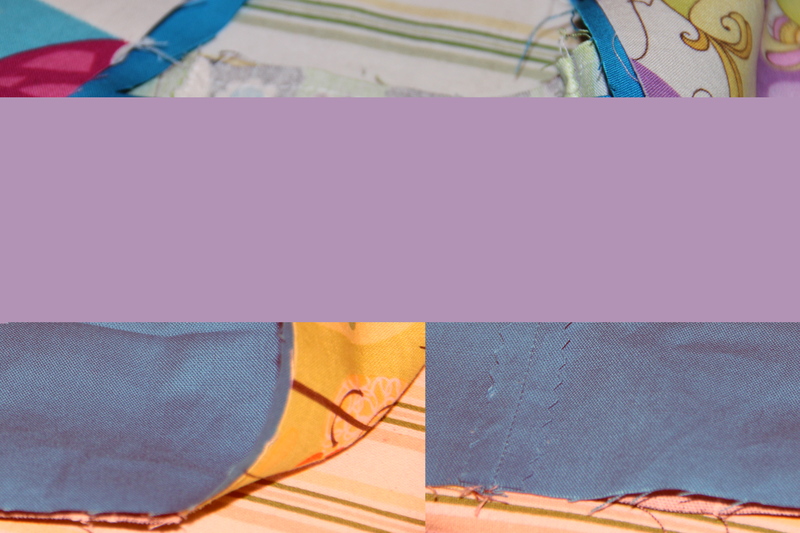 You can join the Road Trip Quilt Along Flickr group here. We’ll continue on to Maryland tomorrow if I can get the tutorial finished up. My sister’s wedding is this weekend, though, so it might be Monday. Okay. On to today’s tutorial. It was inspired by Beth’s suggestion to use novelty prints. And by the great variety of charm packs that are available. And by my two little girls. While not technically a quilting project, quilters have charm squares, yes? 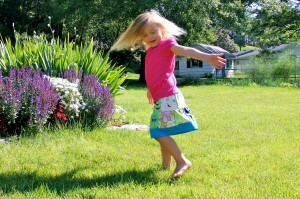 And quilters know little girls that love twirly ruffle skirts. You don’t know any ruffle-skirt loving little girls? Sure you do: your best friend’s granddaughter, your neighbor’s niece, you co-worker’s sister’s cousin’s kid. Anyway, I’m sure you can find a recipient for this darling skirt if you don’t have a little girl handy (I have two in my immediate vicinity; three this week since we’re visiting my parents and my niece is here). Lay out your charm squares in the order you would like them. Seven charms for the upper tier of the skirt, 9 charms for the lower tier. 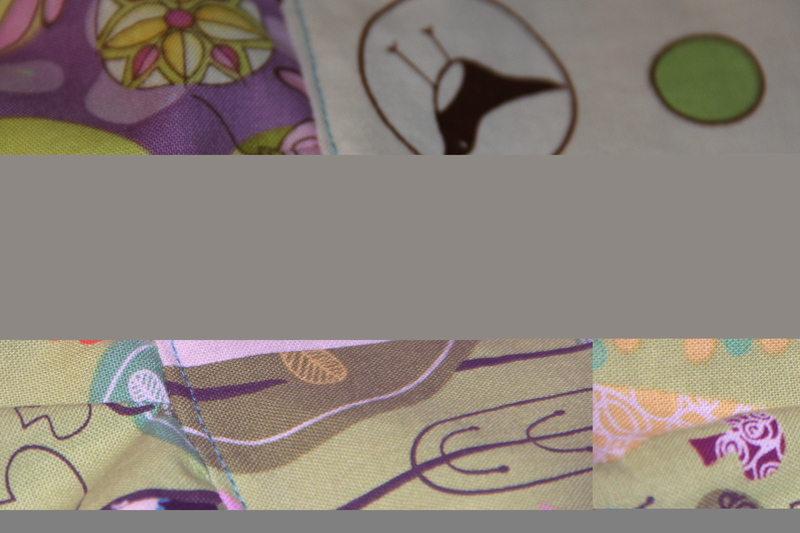 Using seam allowances of 1/2 inch, (I only emphasize that because most of you are quilters and quilters usually use 1/4 inch seam allowances. You need more here.) sew each tier together into a ring. Within each seam allowance, trim off excess with pinking shears and zig zag stitch along the edge so that your skirt does not fray when you wash it. 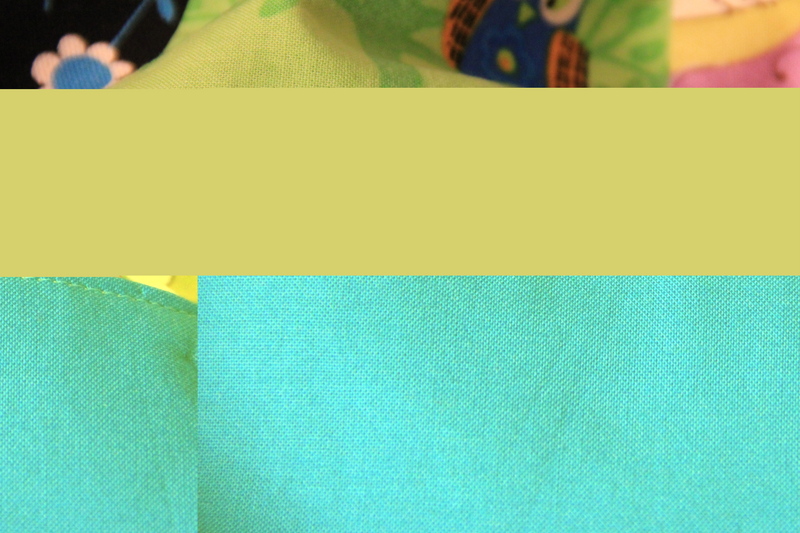 If you have a serger, use it here. Iron all the seam allowanced to one side. Sew both your waist band strip and your bottom strip together along the short ends into a ring. Iron the seam of each open and then fold each ring in half and press. Open the folded-in-half ring back up and then fold one edge over 1/2 inch and press. [This next part is slightly tricky, so read carefully.] 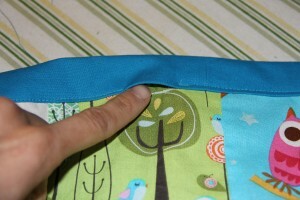 Line up the raw edge of the bottom band with the bottom edge of the lower tier of the skirt. The right side of the bottom band should be against the wrong side of the skirt. (I know it seems unnatural. Just trust me here.) 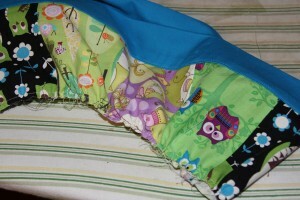 Sew the bottom band to the skirt with a 1/2 inch seam allowance. Iron the band out away from the skirt, flip it up on the fold line to cover the raw edge and the line of stitches you just made and then top stitch down, very close to the edge. Ta da! Lovely bottom band. Time to ruffle. Do not backstitch at the beginning and end!! 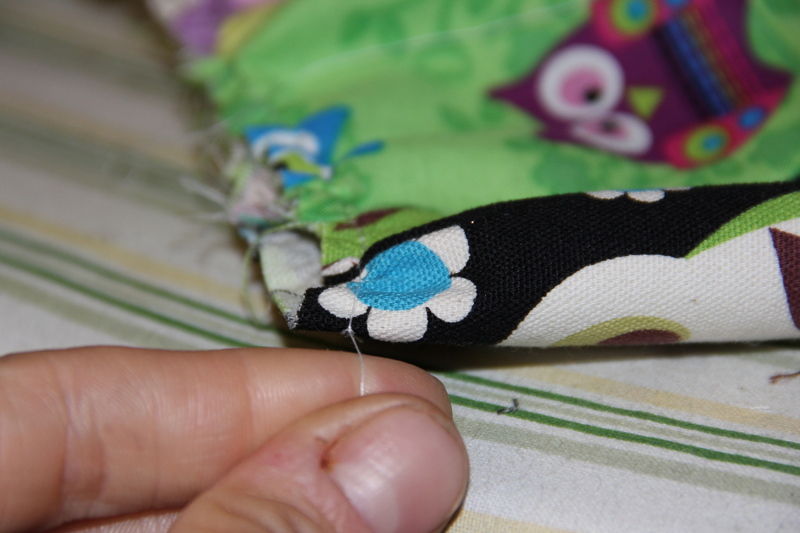 With a basting stitch (sewing machine set to longest stitch length), sew a line of stitches about 1/4 inch below the top edge of the bottom tier of the skirt. 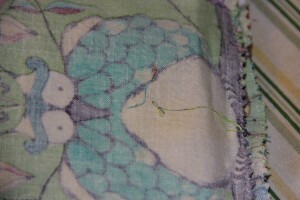 (Some say to add a second line of basting stitches in case a thread breaks, but I usually just sew one line.) Firmly grasp the bobbin thread with one hand and slide the fabric along the thread to gather. You will gather it until it is the same length as the top tier of the skirt (28 inches). Line up the top the edge of the bottom tier (that you just gathered) with the bottom edge of the top tier, right sides together. 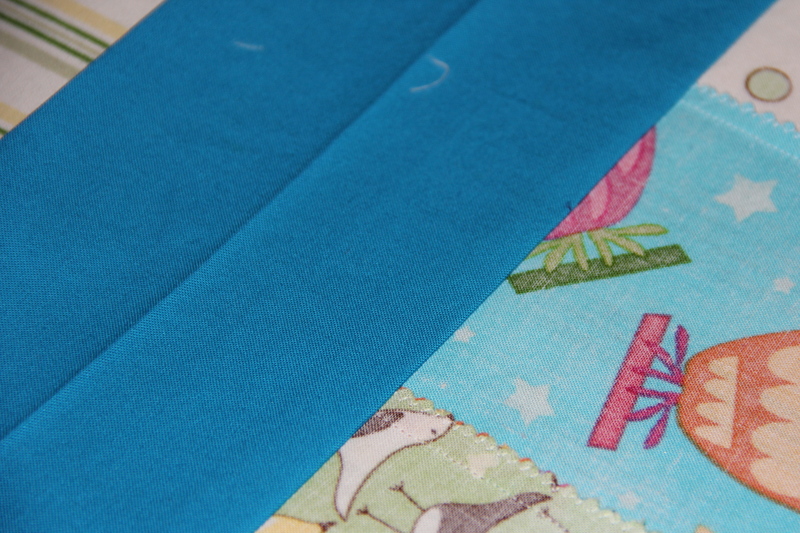 Sew together with a 1/2 inch seam allowance. Use pinking shears to trim the seam allowance and zig zag stitch along the raw edge. Iron the seam toward the top. Turn the skirt to the right side and top stitch along the bottom edge of the top tier, catching the seam you just ironed up. 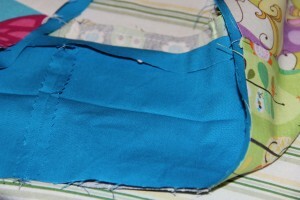 This will keep the seam in place and help the skirt to lie nicely when it’s worn. 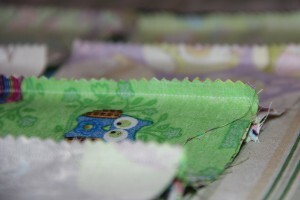 Using the same technique as you used for the bottom tier, gather the top tier so that it is the same length as the waist band. 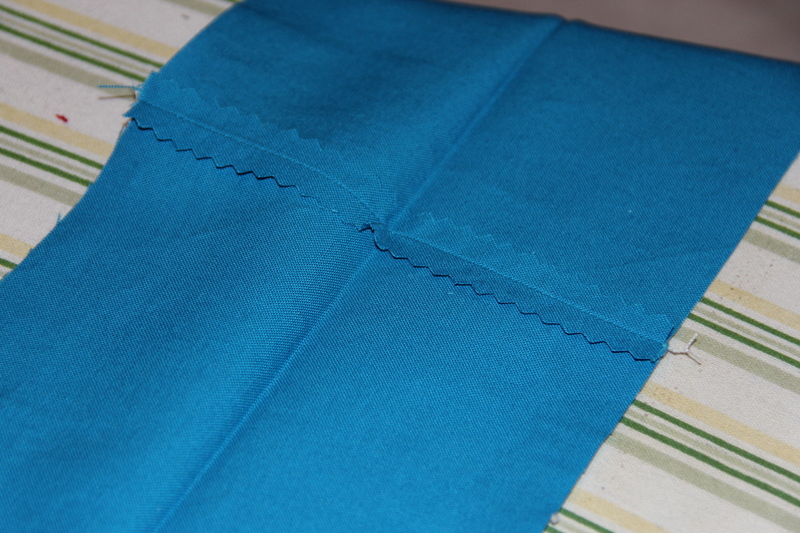 Iron the waist band away from the skirt, flip it down along the fold and top stitch very close to the edge. Leave about 2 inches open to insert the elastic. 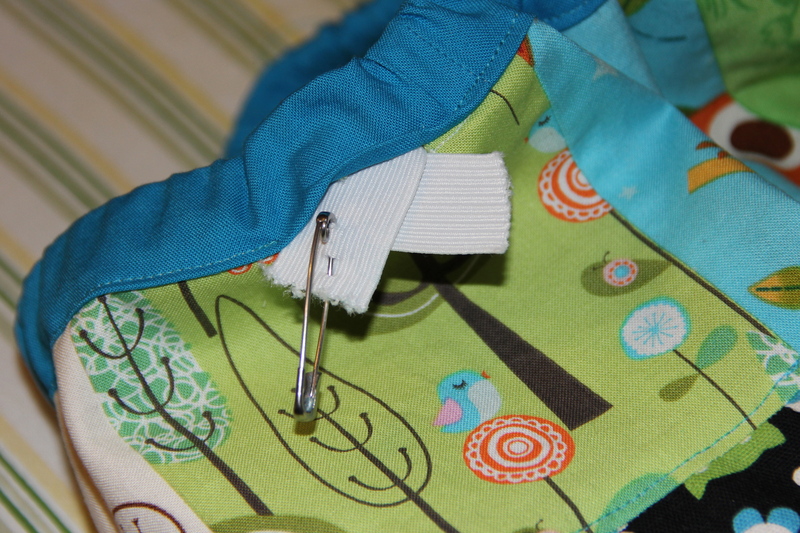 Attach a large safety pin to one end of the elastic, and thread it through the waist band. 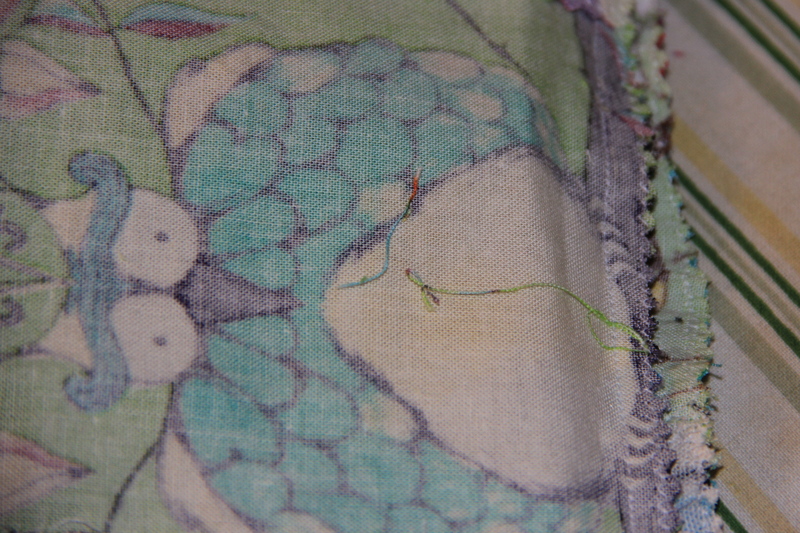 Sew the two ends of the elastic together. Sew the hole shut. Phew! Did you make it all the way to the end? Are you going to make a patchwork ruffle skirt? Who is on your list? 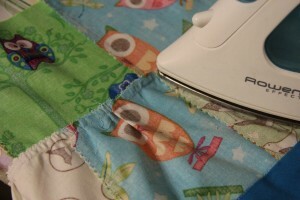 Be sure to check out my blog hop buddy today, Taryn at Pixels to Patchwork. And if you missed them on Tuesday, go visit Cinzia at Deux Petites Souris and check out Kristy’s Red Herring blocks at Quiet Play. You can find all the blog hop participants on Beth’s blog at Plum and June. Let me know when your pictures are up! I need pictures!! Very cute skirt and great tutorial. I’ve got to get some pinking shears! The charms you used means you could almost re-name your skirt to be ‘I Spy’ skirt! Great fabrics!! Nice to be on the Blog Hop with you. 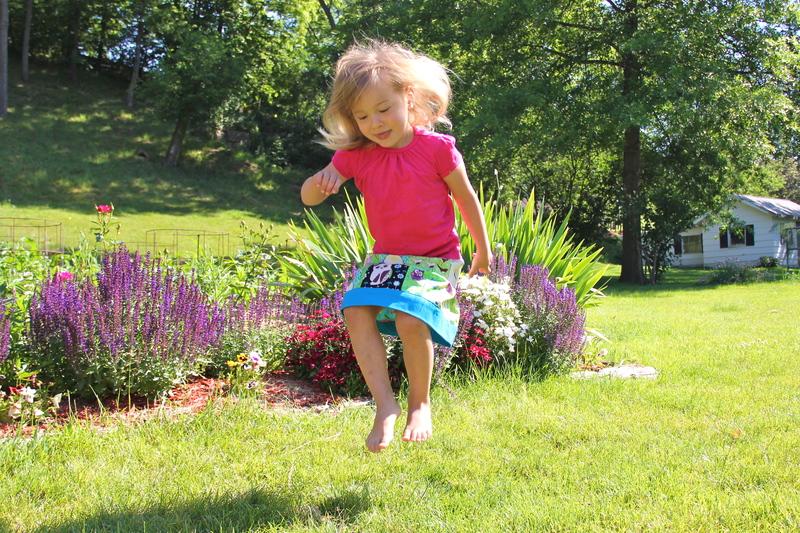 Such a cute twirly skirt! 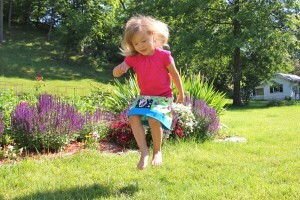 Em, what a sweet tutorial…I love that little skirt, and I know my girls would love it too! I do a little sewing by moonlight myself for the same reason. 🙂 SO great to visit your blog! Even though I’m not a little girl anymore I do love twirly skirts (as long as I don’t forget my cloth pins to keep it in check on the bicycle) … I’m going to have a look at your QAL tomorrow – at my end of the world it’s already late and I need to get up early. First of your blog name and title is so awesome!! 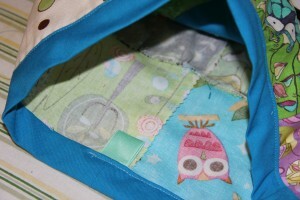 I do a lot of my sewing and blogging late at night when my kids are sleeping. Second your sunrise block tutorial is so cool, I’m seriously considering this for my next month do.Good blocks. Your tutorial today was great too. Looking forward to seeing your shop open! Nice to meet you. 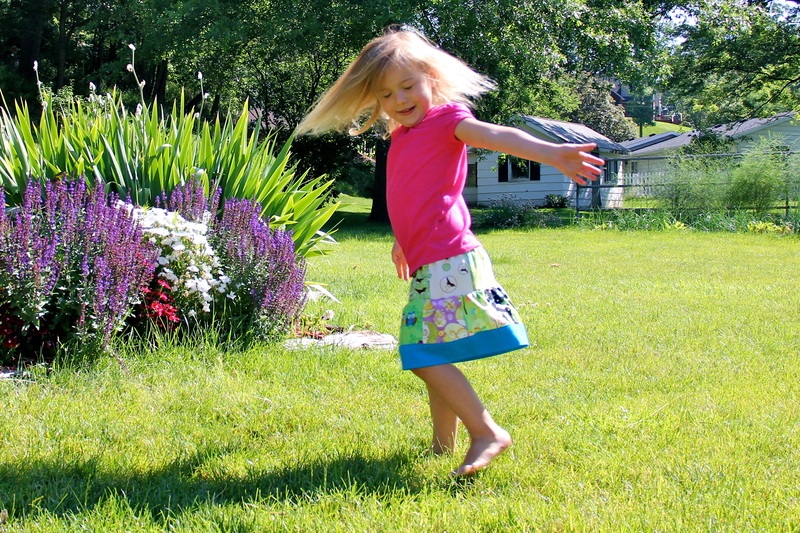 I remember the days of little girls and sweet twirly dresses. My little twirly girl is now 22. Have a great time in all those states. I’ve lived in Virginia too along with Illinois, Indiana, Wisconsin and now Colorado. Be safe as you travel. 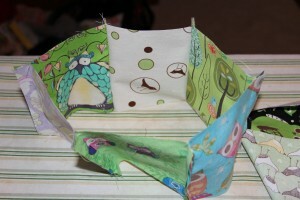 Great project – I would say anything involving cute fabric works! 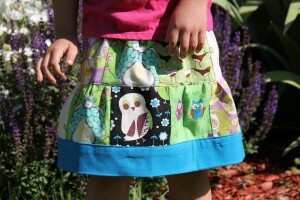 And I’ve been sewing up some quick skirts and dresses for the littles lately so I was happy to see this tutorial. I enjoyed reading your post – and it was a good reminder that I want to work on the first block before you post the next tutorial. Thanks for participating. Nice to meet you via the blog hop! Your skirts are very sweet and the tutorial was very clear and helpful – I have two potential wearers who would love them! Your road trip sounds exciting! What a great adventure! And you found a great way to ‘journal’ it with your quilt-along! Nice to get to know you! 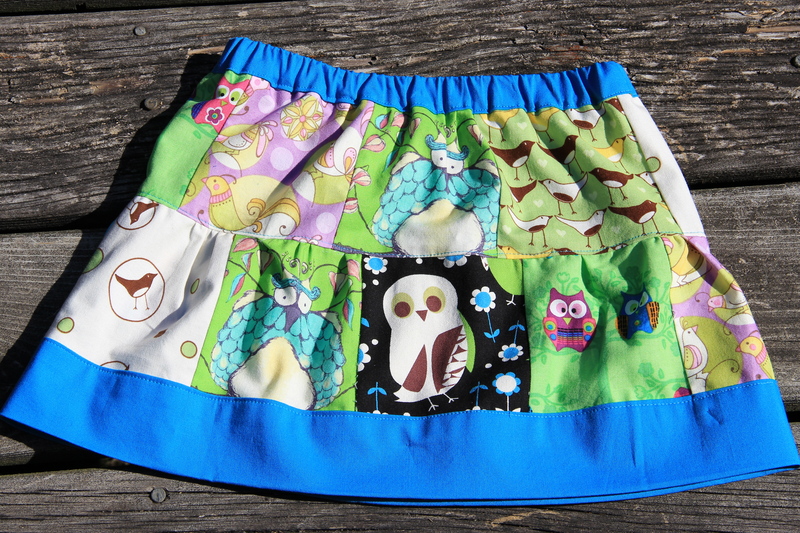 What a gorgeous little twirly skirt! 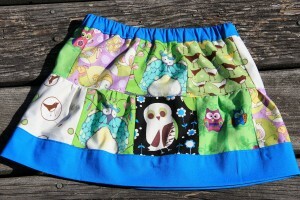 Cute skirt, good luck with the weeks on the road with kiddies. Very cute and very clever! Such a cute skirt – I have a 2 year old who would love one! Thanks for sharing. Drive safely on your roadtrip. What a cute skirt!! I love the owls. 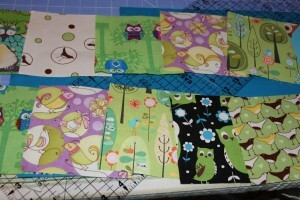 I do a lot of my sewing at night when my babies go to bed. I hope you guys are having fun on your vacation.